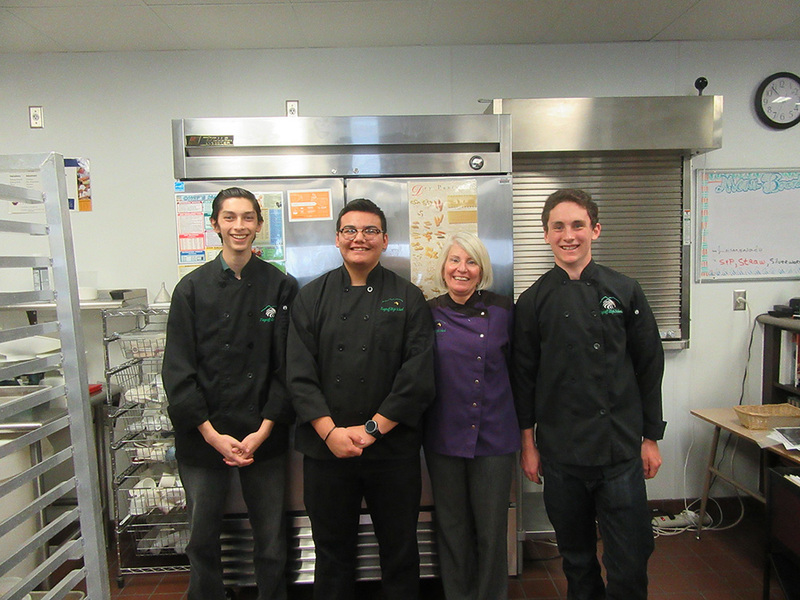 The Flagstaff High School culinary team is well known for their amazing food and competitive skills. Every year at this time they are preparing for competitions by practicing their skills, holding and participating in mock competitions and talking to chefs throughout Flagstaff to learn best practices. 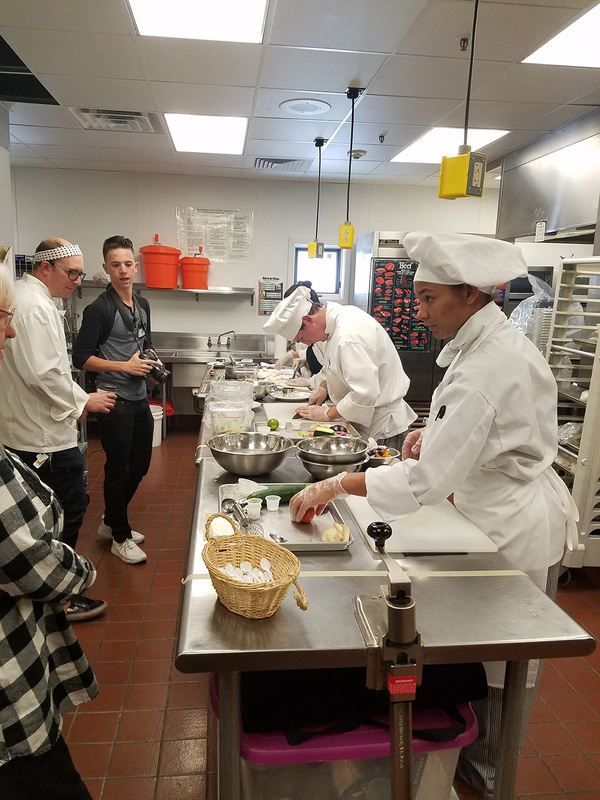 On January 10th the FHS Culinary Team members Jackson Gilmore, Santana Hernandez and Cameron Torres and their teacher Patti Pastor hosted a mock competition that mimicked the actual preliminary competition. 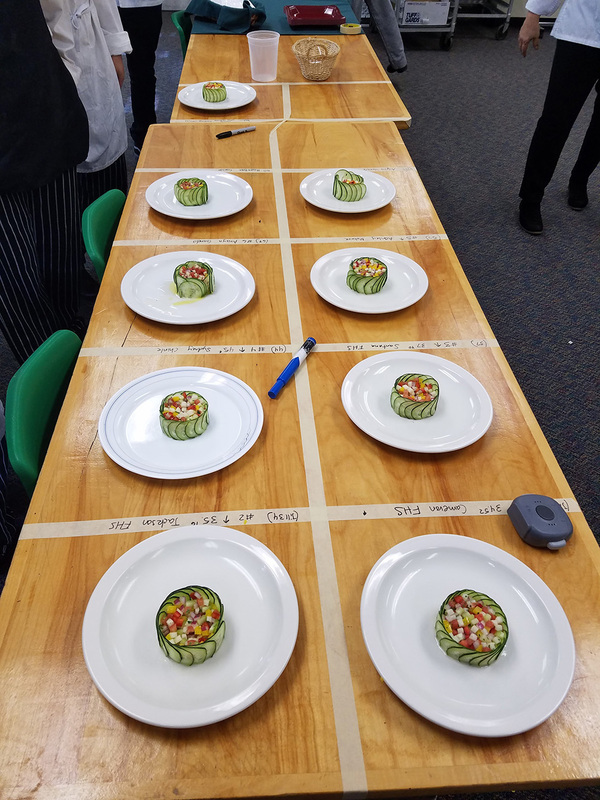 The students from FHS, Payson, Chinle and Ganado High School were judged while executing a standing, molded cucumber salad filled with small diced cuts of jicama, yellow pepper, red onion, cucumber, red pepper in their special vinaigrette as well as a French rolled omelet. Both are culinary competencies. Judges included a C-CAP representative, several industry chefs and alumni of the culinary program. 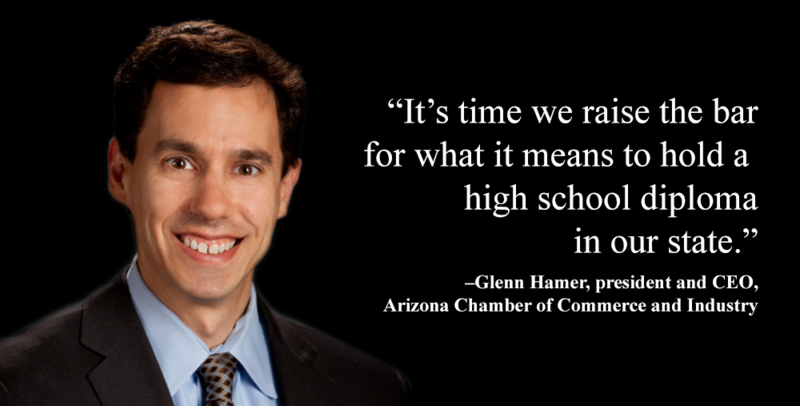 The team members also take advantage of other mock competitions around the State of Arizona as they prepare for the competitions that will begin in February. The three team members all have the same goal; they want to continue their education in the culinary and hospitality fields. His goal is to gain knowledge and experience through the competitions and hopefully earn a scholarship to continue his education. culinary classes and Mrs. Pastor asked him why he was not signed up for the competition team. After high school, Cameron will attend college for his bachelor’s degree and then in the future would like to open his own restaurant. We wish these focused and talented young men the best of luck as they begin their culinary competitions.